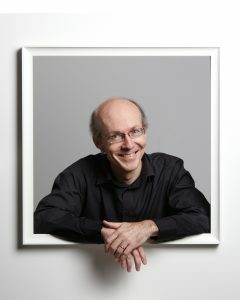 Learn more about David Fallis. TMC’s annual joyous celebration of music for the season with the splendid brass of the Canadian Staff Band of the Salvation Army and the young voices of the Toronto Youth Choir. Add your voice to the popular audience carol sing-along. Choose from two nights. 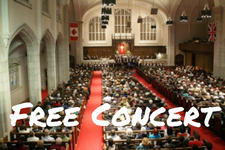 Yorkminster Park Baptist Church, 1585 Yonge St.
Here’s a wonderful opportunity to enjoy music by great choral composers from Canada and the United States. The program will include music by well-known masters like Healey Willan and Eric Whitacre, to Andrew Balfour, the prominent Winnipeg composer of Cree descent, and a selection of lively folk songs. 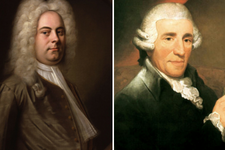 Enjoy two great 18th century choral-orchestral works in this program of pure celebration, featuring Handel’s beloved Coronation Anthems and Haydn’s deeply-felt Mass in time of war, both with full orchestra. Experience a concert of contemplative a cappella music from the 20th century in a beautiful church setting. This concert has become a cherished moment of calm and reflection for many. 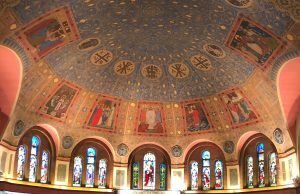 Come and discover one of Toronto’s other beautiful sacred spaces with us — the “Group of Seven” church, St. Anne’s. 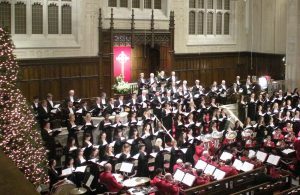 Enjoy a program that brings together two rich choral traditions: the French subtlety of Messiaen, Poulenc and Martin; and the mystical traditions of Eastern Europe and Russia, with music by Kodaly, Rachmaninov, Penderecki and Schnittke. 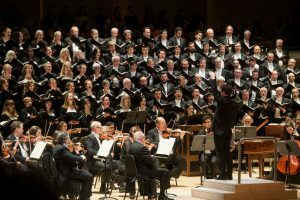 The TMC regularly performs grand symphonic works with the Toronto Symphony Orchestra as well as making guest appearances with other ensembles. Among this season’s TSO performances are Britten’s War Requiem in November and Handel’s Messiah in December.